May 2-6 is Teacher and Staff Appreciation Week! Like their counterparts across the nation, Dallas ISD teachers and staff are uncommon heroes as they play an essential role in student success. During Teacher and Staff Appreciation Week, we invite the community to join us in recognizing the dedicated educators and staff members who wholeheartedly commit themselves to helping all students succeed. Each day this week, we will recognize a Dallas ISD teacher and staff member in the district. Today, we salute Stephany Hale, a teacher at Reilly Elementary, and Stephanie Hill, lead custodian at Conrad High School. What do you hope your students take away from their time in your classroom? I hope that students develop a love for reading through their time in my classroom. I expose my students to many forms and genres of reading in hopes that they will find just the right reading source that interests them and hooks them on becoming a life-long reader! What is the thing you wish you’d known before deciding to become a teacher? I wish I had been informed of how teachers become emotionally attached to students each year. After 23 years, I still worry each summer about some of my students receiving the proper nutrition, attention, and love when school is not in session. How do you maintain a balance between work and your personal life? I have learned to be careful about bringing home papers to grade and resources for lesson planning. I prefer to adjust my schedule to allow more time in the mornings or afternoons during the work week to complete the necessary paperwork for school allowing my evenings and weekends to be devoted to my family! How do you motivate and inspire your students? I encourage my students through lots of praise, love, and encouragement! I am their biggest cheerleader! 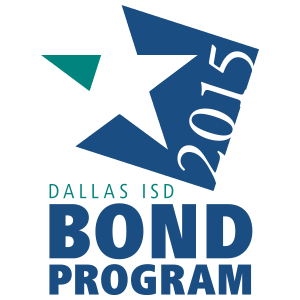 What has been your favorite moment working in Dallas ISD? There are so many things that I have loved about working in Dallas ISD for 22 years. I really enjoy working with the students and meeting new people every day. But my favorite moment was when I was promoted to Facility Supervisor here at Conrad. I was trained through the multi-skills program and I was able to use the skills I learned for advancement. It gave me the opportunity to grow. I really like getting to work together with all my co-workers, the other staff in the district, and the community leaders in the area. I get to provide a safe and secure learning environment for our students and I also get the chance to learn new things every day. I want to make a difference by motivating and impacting our students. I think it’s so important that when our students are educated they come to a clean and safe environment. I have always said to myself – When visitors come to Emmett Conrad they are my customers and I am here to please, with a positive attitude! !